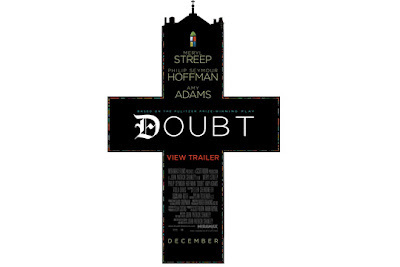 One of the finer acting performances I've seen in a while came from Amy Adams, Phillip Seymour Hoffman and, above all, Meryl Streep in 2008's Doubt. If you haven't seen the film, I must warn you that it moves quite slowly. But it's tedious progression does not take away from the greatness of the film. Like many of the great movies I've seen lately, this one pulls the viewer in and forces you to form an opinion. To take a side and - ultimately - make a decision. Hoffman is such a great actor, but Meryl Streep's performance dominated this film. Everything that makes her unlikable as a character is clouded over by the fact that she is so intensely passionate about uprightness in people. 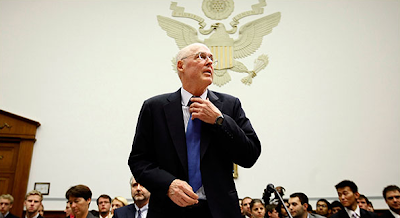 Former Treasury Secretary Henry M. Paulson Jr. came under sharp criticism on Thursday for his role in forcing Bank of America to complete its acquisition of Merrill Lynch, as lawmakers accused Mr. Paulson of misleading Congress about how government money would be used to rescue banks, and by the hearing’s afternoon session in Washington they were actively criticizing the banking bailout. Mr. Paulson was also sharply questioned about his ties to Goldman Sachs, a recipient of $10 billion in bailout money. “Ken Lewis appears to have manipulated this unaccountable system to his benefit,” Mr. Towns said in his opening statement. “The problem is that while all this was going on, the American people, investors and Congress were kept in the dark,” he said. *My personal question is, why was that not obvious back then and why do we still feel like the jokers at the treasury and the fed are ok today being left to their own devices? 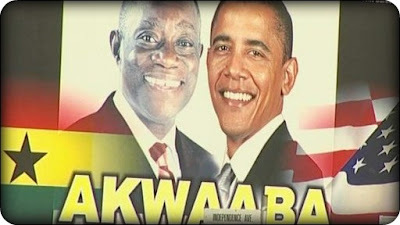 President Obama recently returned from his speech in Ghana. You can watch the entire speech at ONE.org (which I encourage you to go join the email list for ONE). In all honesty, I think this 20 plus minute speech is Obama's best moment in office so far. His attention was solely focused on the nation of Ghana and the continent of Africa. Obama's African heritage made this speech especially impacting. Now, to realize that promise, we must first recognize the fundamental truth that you have given life to in Ghana: Development depends on good governance. That is the ingredient which has been missing in far too many places, for far too long. That's the change that can unlock Africa's potential. And that is a responsibility that can only be met by Africans. Check out the entire speech if you have 20 minutes. It's very encouraging to bring such vital international attention to Africa. I'll be blunt. 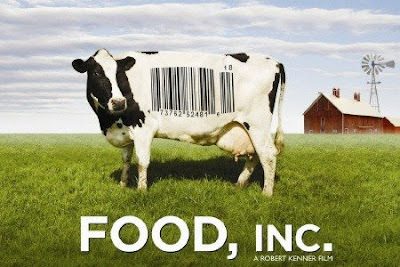 The documentary, Food, Inc, will change your life. Probably for the better. Documentarian Robert Kenner did a phenomenal job of reinforcing what many people already knew: We are an obese nation with a food industry that is the root of the cause. The great thing about the film is that Kenner doesn't simply make you angry at a very political and very messed up industry, but he offers insight and understanding for how we can all be a part of the solution. He is very adamant about the fact that we do, in fact, have the power to change these things. Check out his interview with Jon Stewart here. For me and my wife, we've already reduced the places we eat down to the ones that serve mostly local and completely all natural items. And we've had an awesome time visiting the Nashville Farmer's Market (something we did previously, but only occasionally) many times in the past weeks. Also, check out the books, Fast Food Nation and The Omnivore's Dilemma. They greatly expose the messed up system in which our food is created. I'd love to have a conversation with anyone interested. Let's chat. I needed to wait a little while before posting something about Michael. In all honesty, his death was a tough pill to swallow. Sure, in the last decade, we knew that he'd lost his mind, but that does not erase the impact that this man had on the entertainment world. 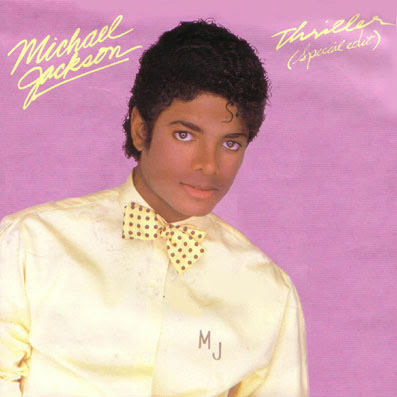 Whether in singing, dancing or purely performing, he was undoubtedly one of - if not - THE best there was. M.J. had an effect on everyone. Everyone! From punk rockers to metal heads (even the mighty axe-shredder, Slash, worked with Jackson) to disco queens to...well...everyone. And I would dare anyone to openly admit that at one point or another in their life they didn't want to put on a diamond-studded glove and moonwalk. He influenced so many including myself and I hope that through his music we can continue to celebrate how great of an impact he had on this world.